Today I sat down and wrote 16 dreams I want to come true this year. What a perfect day to celebrate the man that shared the “I have a dream..” speech that was so passionate about people being kind and loving and treating others equally. And to take the 2016 year to imagine how the year '16 can symbolize 16 dreams in your life!!! Everything begins with a dream. A tiny hope, prayer or thought. If you can dream it, it can come true. Well, pull out your favorite pen and pad. And get on it!!!! I love making bracelets for the New Year. 16 beads in a row to hold the 16 dreams you are holding in your heart for this new year. 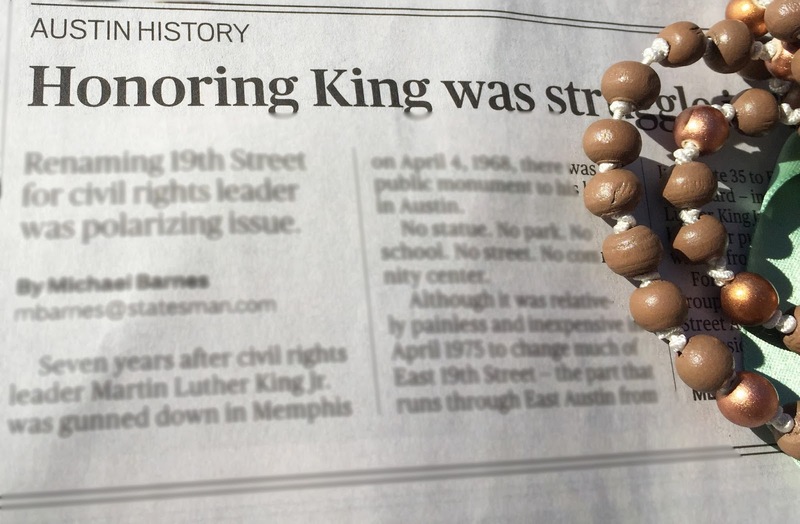 Maybe wearing the beads will remind you of that dream. Remind you to keep hoping and wishing and moving your life in the direction of your dreams. Not settling for what is just “okay!” But, making it a dream and bringing your heart into your life front and center. You can do it. Only 16….get writing.